This is approximately the Cafe's opening hours. 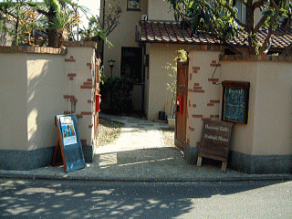 However, without prior notice the Cafe might close earlier than scheduled or be closed temporarily on some days. For details please contact us over the phone. Thank you very much! We accept the following case. A party, event holding, reservations. Other than a Top page, look with a PC or a Smartphone. BazaarCafe is making a homepage partially.